In April 2006 Robin Einstein Varghese, a stupendously naive but academically gifted young man (he was ranked 41st in his class), graduates from one of India's best business schools with a Day-Zero job at the Mumbai office of Dufresne Partners, a mediocre mid-market management consulting firm largely run by complete morons. Varghese finds that he fits into the culture remarkably well. Or does he? Through a stunning series of blunders, mishaps and inadvertent errors, Robin begins to make his superiors rue the day they were driven by desperation into hiring him. With things going spectacularly wrong in his professional and personal life, will Robin manage to achieve his short-term goal of being promoted to Associate in under a year? Will love conquer all and will Gouri walk with him through Dadar Department Stores with her hand in the rear pocket of his jeans? 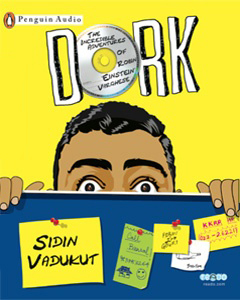 Dork: The Incredible Adventures of Robin Einstein Varghese is for all of those who have ever sat depressed in cubicles and wanted to kill themselves with office stationery. Especially that letter opener thing. Join Robin as he navigates his first insane year at Dufresne Partners in this first volume of the Dork trilogy.